Kindred Spirits. Credit: PRNewsfoto/ Tullamore D.E.W. 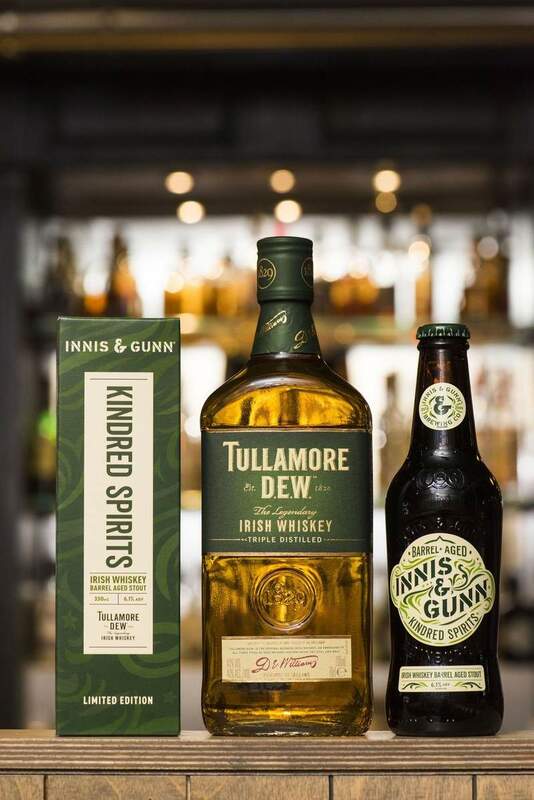 Scotland’s craft brewer Innis & Gunn has partnered with Irish whiskey brand Tullamore DEW to launch new Kindred Spirits. With an alcohol-by-volume of 6.1%, this limited-edition stout has been aged in Irish whisky barrels at Tullamore DEW’s brewery. It was made from a blend of Innis & Gunn’s flavoured beer with dark chocolate, coffee, vanilla and oak flavours. Innis & Gunn’s founder and master brewer Dougal Gunn Sharp said: “The Scots and Irish share a powerful Celtic connection in our culture and our character, a bond that draws us together with Tullamore DEW. The limited edition is available in the UK, Ireland, the US, Canada, Sweden, France, Australia, South Africa, Denmark, Finland and Singapore. Tullamore DEW’s Irish whiskey is triple distilled and contains all three types of Irish whisky, including grain, malt and pot still. Known for barrel-ageing, Innis & Gunn uses the traditional beer-into-barrel and barrel-into-beer processes.